LEN, in co-operation with Swim Ireland & Swim Ulster, look forward to welcoming you to Belfast, Northern Ireland for the 4th LEN Swimming Officials Seminar. The Seminar will take place at the extraordinary Titanic Belfast Centre. Overlooking the iconic Harland & Wolff Shipyard where RMS Titanic was designed and built, the seminar will take place over 2 days in the heart of Belfast. The presenters will include TSC members Alfonso Wucherpfennig, Craig Hunter, Andrea Thielenhaus and Mireille Zimmer. 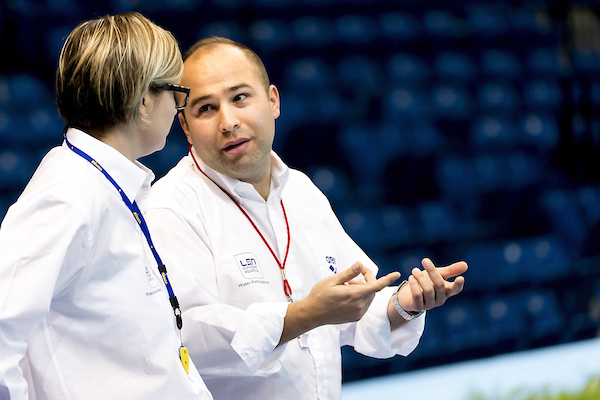 The programme will include presentations on the rule changes agreed at the FINA Congresses in Budapest 2017, the Team Leader meeting (what it is and how it works), pool deck problems (delegates will be invited to submit questions and scenarios in advance of the weekend for discussion purposes), break-out discussion groups.